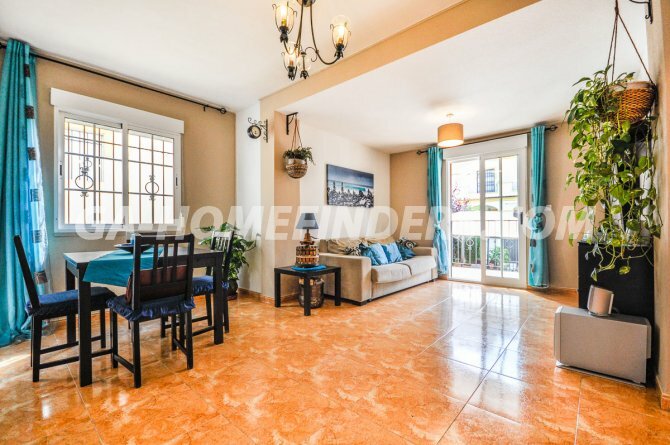 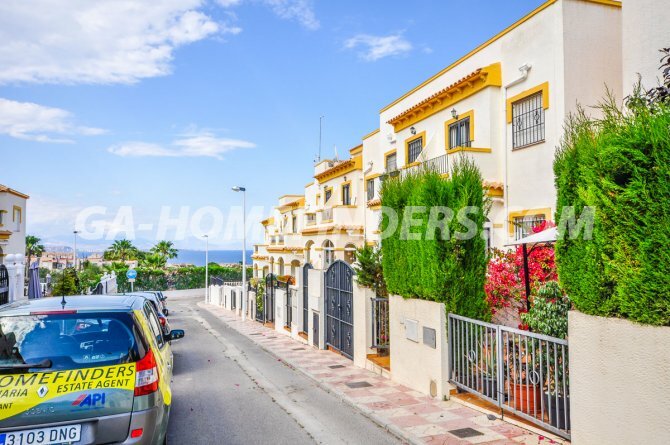 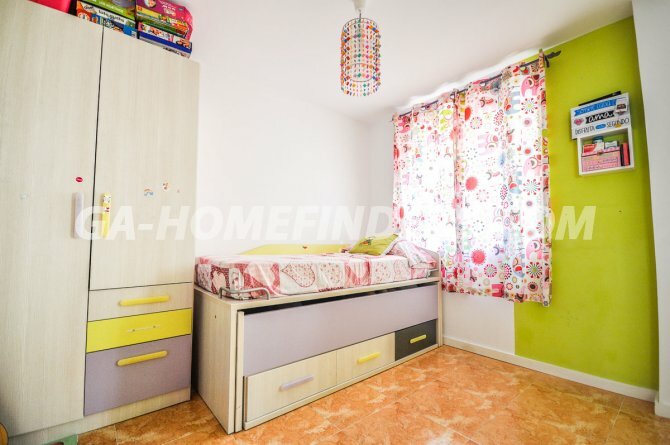 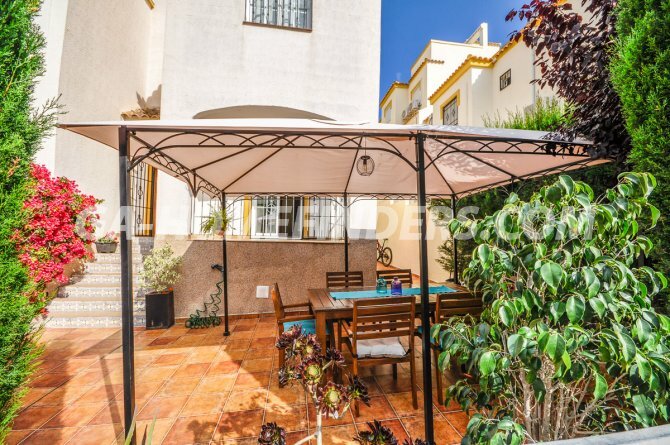 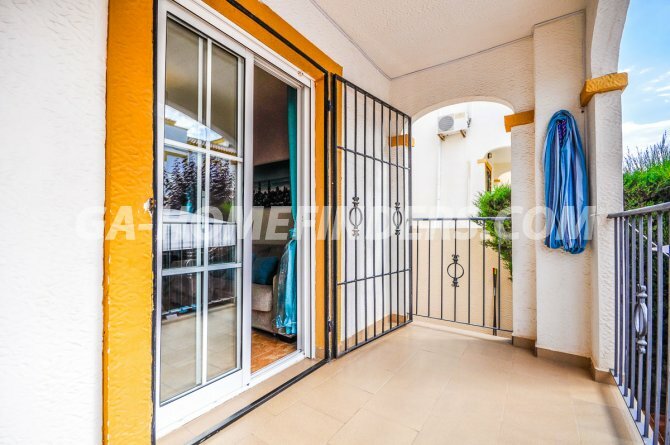 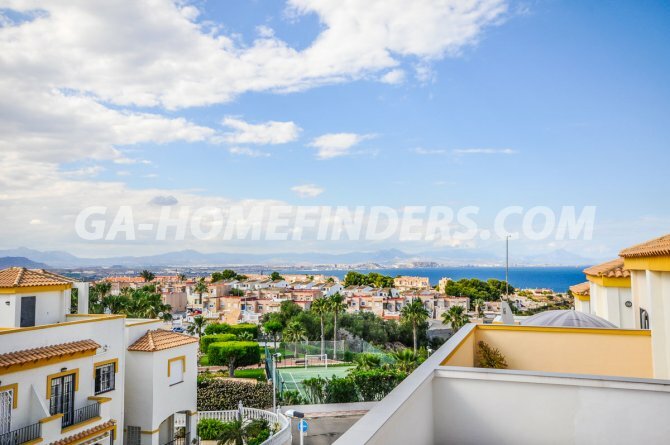 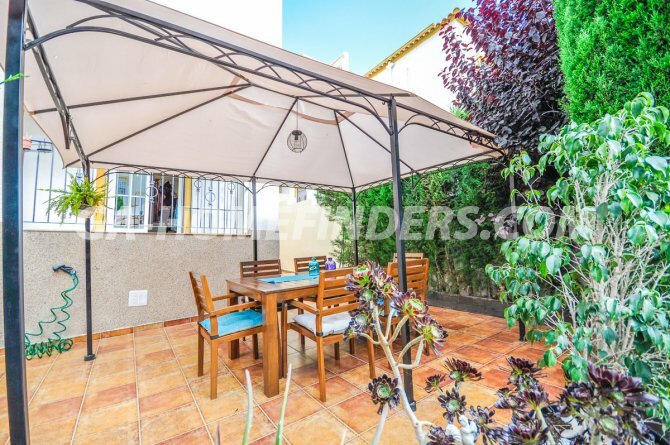 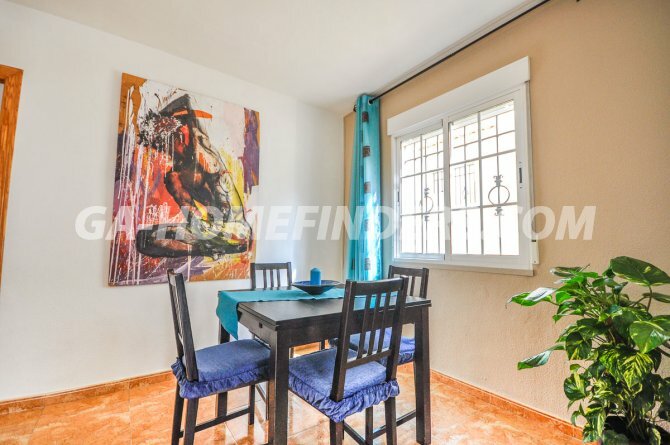 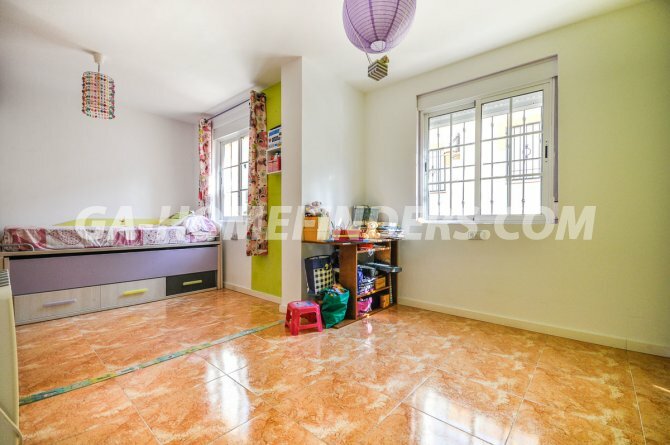 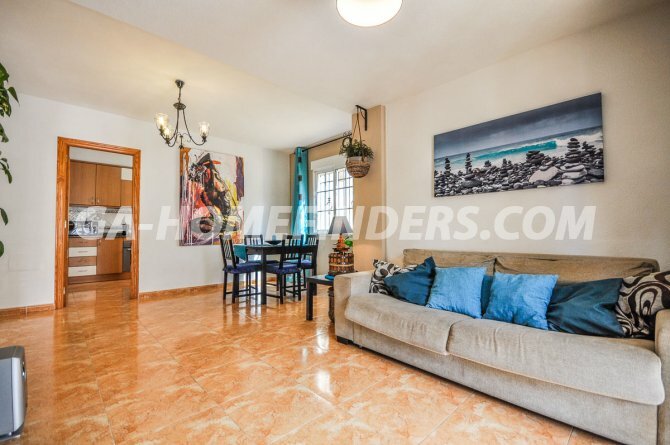 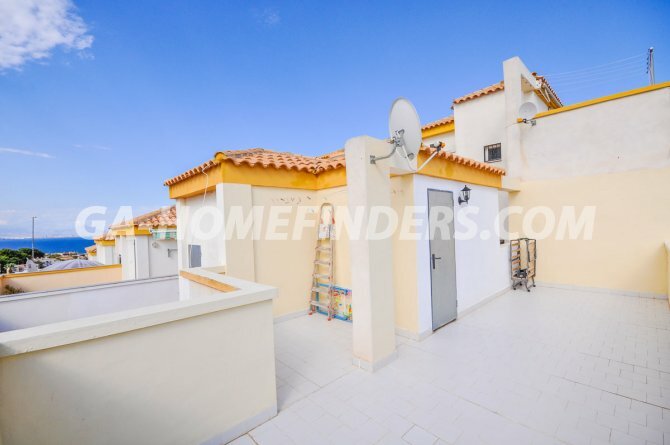 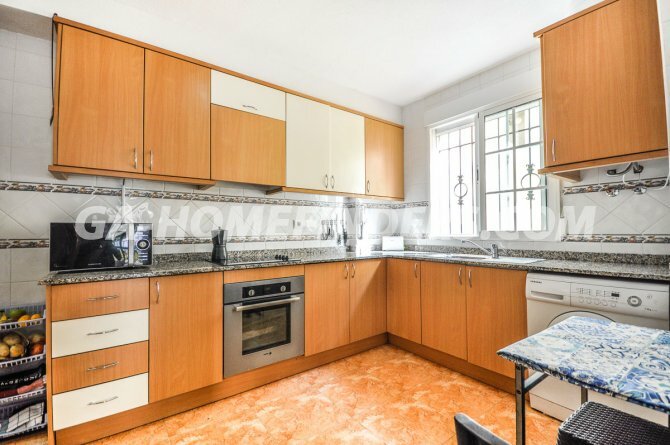 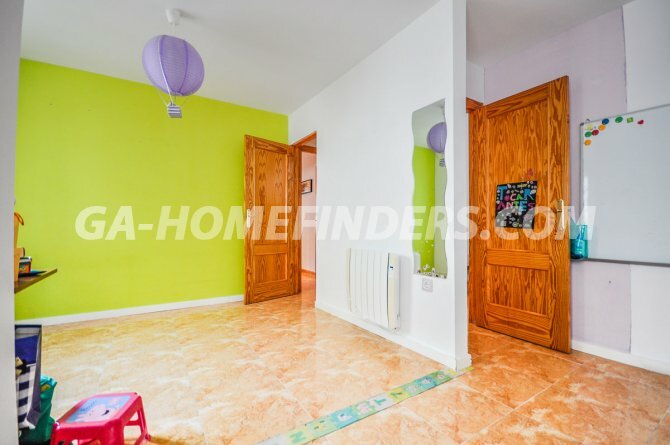 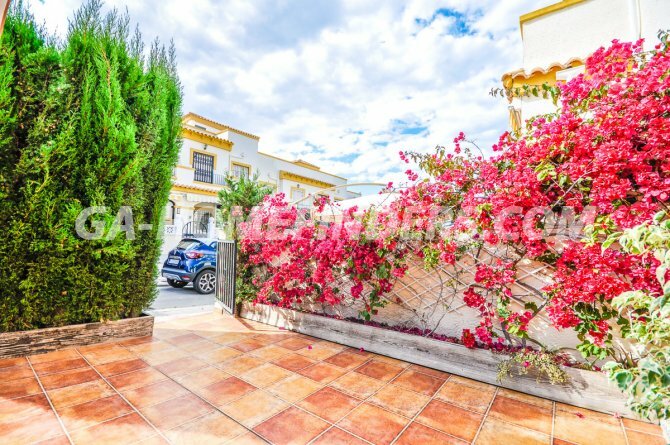 Furnished semi-detached corner townhouse, has 2 bedrooms and 3 bathrooms, at the entrance of the property it has a large well-kept garden terrace and a porch. 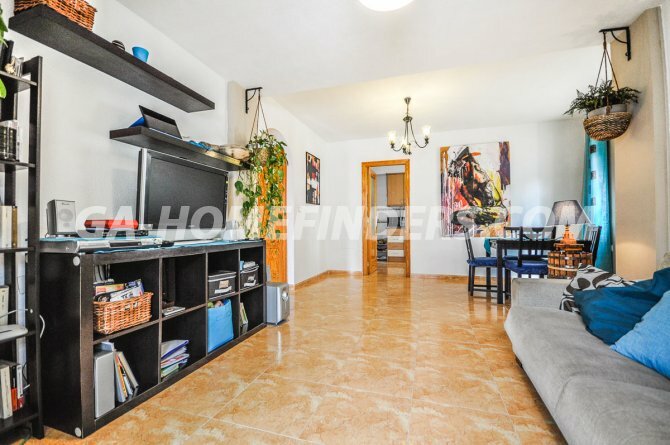 Large living room ,independent kitchen with appliances and with covered utility room. 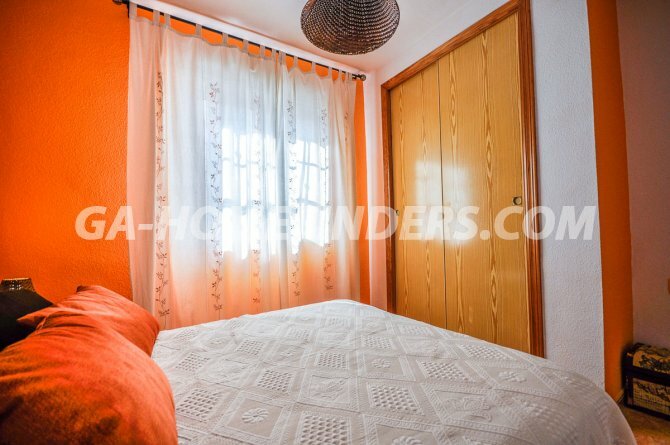 The bedrooms are spacious with fitted wardrobes and the windows have a thermal insulation and are protected from the cold and the heat. 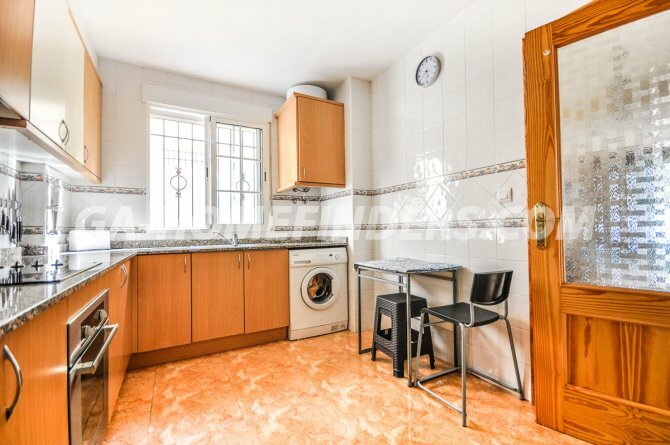 All the windows have shutters and grills. 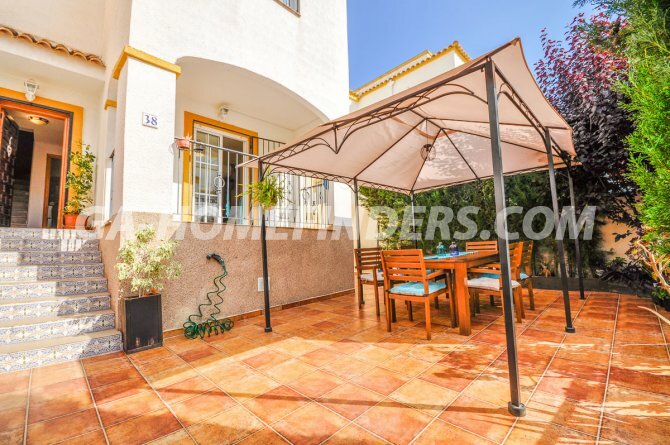 Large solarium with great views of the bay of Alicante. 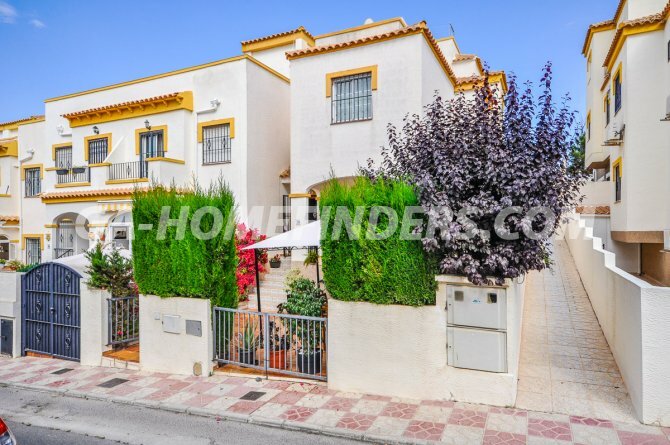 The house is located in the upper part of Gran Alacant, in a quiet urbanisation, with communal pool and tennis court. 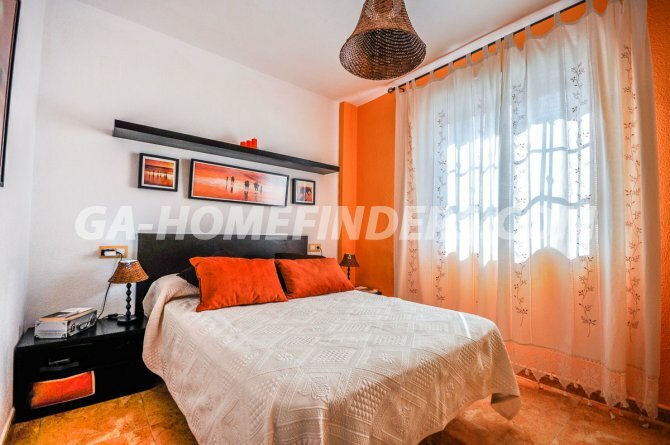 It is close to the area of services, bars, restaurants, shops, banks and public transport, and 10 min walk to the beach of Carabasi.